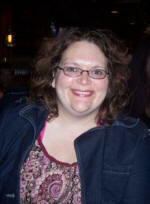 Jenn started out in 1984 while still in high school working for the cable public access TV station. Then interned at WMUZ and WCSX in Detroit and WWCM in Ypsilant. During college worked for Family Life Radio in Midland and after college served at KRSA in Petersburg, Alaska. Then in 1996 everything changed when she and Ed started their own station, WLGH in Lansing, MI, then known as 88.1 The Light. 1. How has WLGH evolved over the last few years? WLGH is the flagship station for the Smile FM Radio Network. We have grown from 1 station in 1996 to 18 stations as of today. Really today, 11/17 our new station in Hart, MI is going on the air! In 2004 we combined our AC & CHR formats and launched Smile FM (hot AC). Since then we have been busy improving and refining our product. We are also preparing for the launch of several new Smile stations in 2011 including one serving Metro Detroit! We also continue to pioneer the use of new and open platform technology making it easier to better serve our listeners. This has included a partnership with the National Weather Service which allows our stations to alert listeners to severe weather situations significantly faster than we could do utilizing just the required EAS equipment. 2. Has WLGH made any changes due to economic situation, been affected in any way? It seems like the economic crash happened earlier for us than hit the economy at large, 2006 was a really tough year for us financially. Since then we have had to "work" much harder for the money. We have always tried to operate Smile FM more as a regular non-profit focusing on quarterly fund raising goals and initiatives rather than just relying on an annual sharathon. That has helped us to bring the need in front of people more often and return to higher levels of support. Those challenging days reconfirmed our commitment to stay as debt free as possible and build and expand as God provides. Dave Ramsey would approve!. 3. How does WLGH connect locally with markets? We work hard to have representation in each market we serve. We get invited to hundreds of local events each year and try to get to as many as possible with our on air, promotions staff and of course our street team. We just added our first community relations position to help us better meet the need. Smile FM, while technically a Michigan based radio network, works very hard to sound local in each market. We do that using technology to program local weather, news and community info for each station EVERY hour. It's a ton more work for our staff and tech department, but it helps us stay on the cutting edge of community service. In the past few years we have also began to restart our concert & event efforts, trying to bring smaller artists and tours through to each market to make them relevant to all of our listeners and not just those in bigger communities. Being called Smile FM, we definitely love the happy songs. But most importantly songs that will connect and encourage our listeners in whatever they are going through. I think we are always torn between the promotions we have to do and the ones we want to do! We have to help promote concerts and events and make them sound fun and exciting, because lives are changed at those events. At Smile FM we want to spend more time focusing on promotions that encourage our listeners to make a difference and that really connect with them. We're excited about our Smiles4Christmas promotion that connects families that need Christmas gifts for their kids with other listeners in their community who can meet those needs. One to one connections sharing the love of Christ! I think it would be super helpful if they would send me an e-mail the day before tracking day to remind me what they're going to ask about the next day! It's a lot to keep track of! Other than that, we do love it when they bring new artists by so we can get to know them before we play their music. It helps us better share their stories and connect with them when they come back through for shows. Wow, that's a tough one. We could focus on the economy, lack of money, lack of staffing, but all of those obstacles can be overcome through great leadership. Leaders can inspire volunteers to help with the load. Leaders can foresee the economic challenges and adjust the plans accordingly. We need to do a better job of training, inspiring and equipping great leaders at our stations and in our industry. I think its our job to be in tune with the buzz and reflect back what our listeners are talking about, thinking about, scared about, but to give it back to them with God's perspective. I'm so amazed it's the little and mundane things that I share about my life that people come up and talk to me about at events. In such a connected world, people have never felt so isolated and alone. If we do our jobs well, we can really make a difference in someone's life, let them know they are not in this alone. I love what WPOZ in Orlando is doing in terms of public service and emergency management. Even their back ups have back ups! You can't serve your listeners in an emergency if you're not on the air! I think the lines between Christian radio and Christian music is going to blur even more than it is today. And if handled well, it can be a great opportunity to reach a bigger audience. The downside is it will be harder to avoid becoming like the world, rather than remaining a light in it.